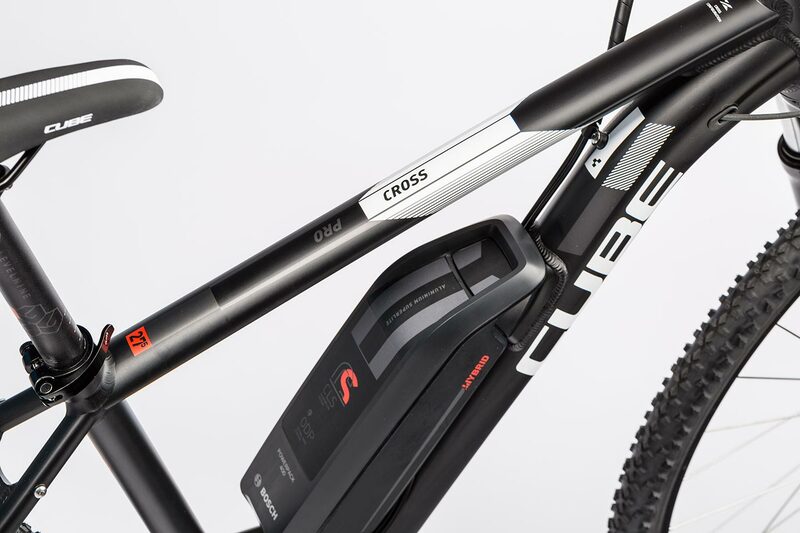 You can't go wrong with the Cross Hybrid Pro. 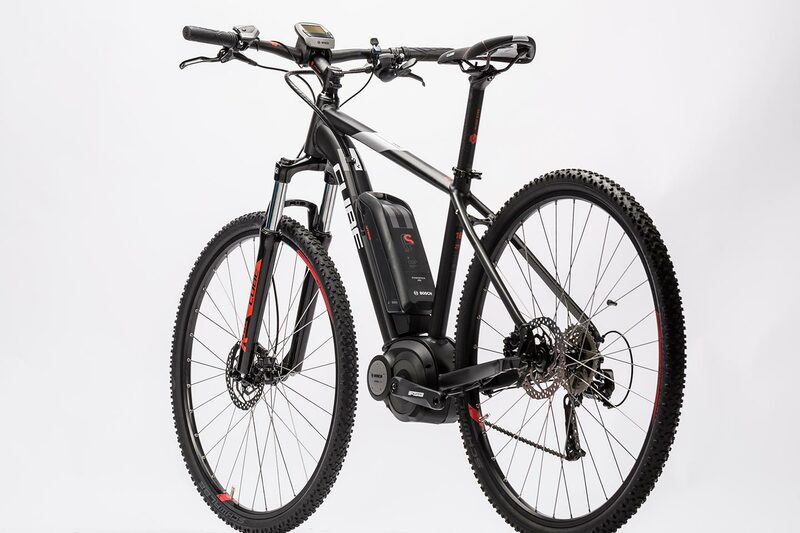 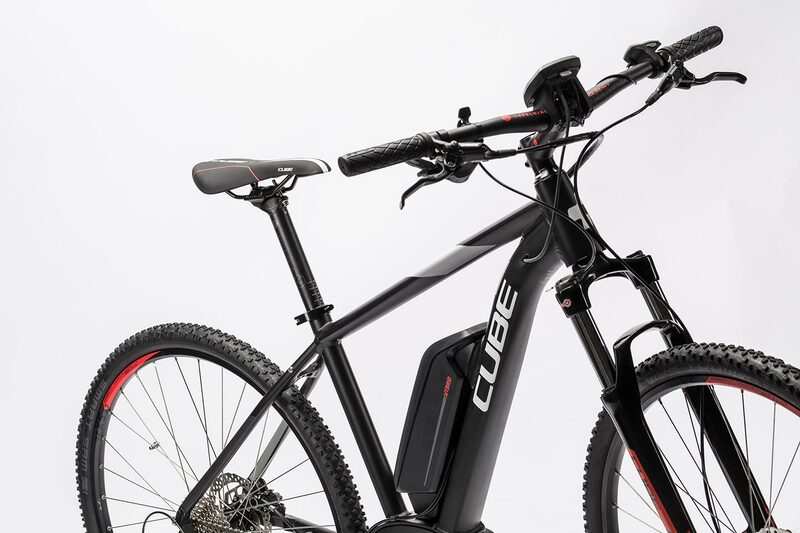 This is a reliable pedal assist e-bike that's perfect for long rides, everyday use or just a relaxed trundle in the countryside. 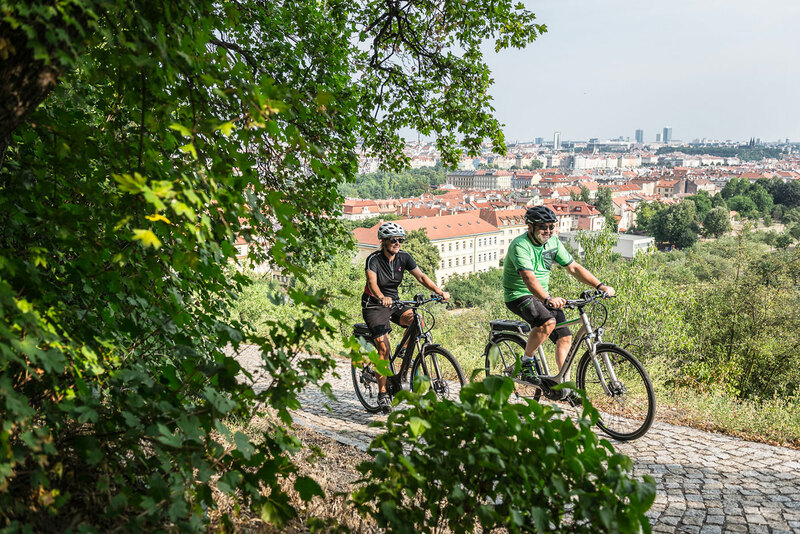 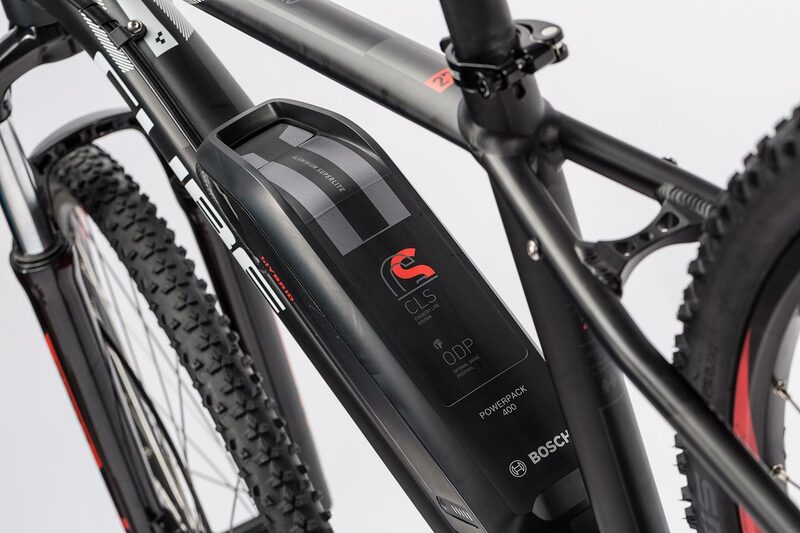 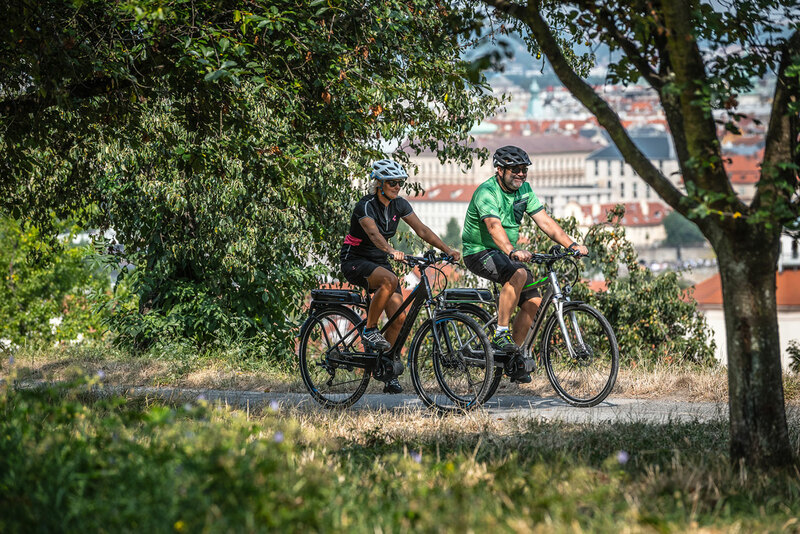 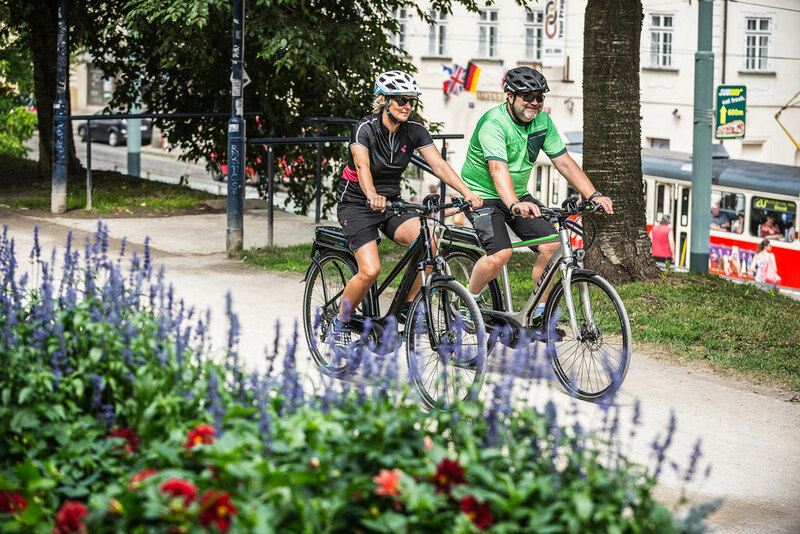 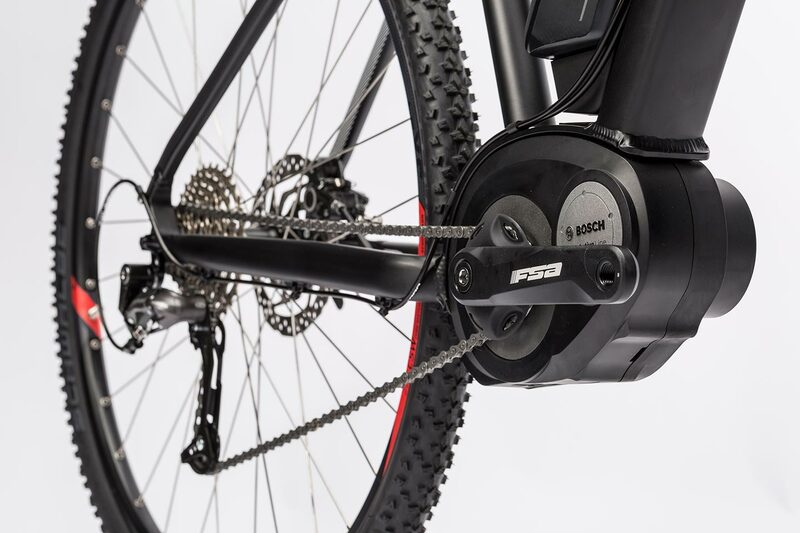 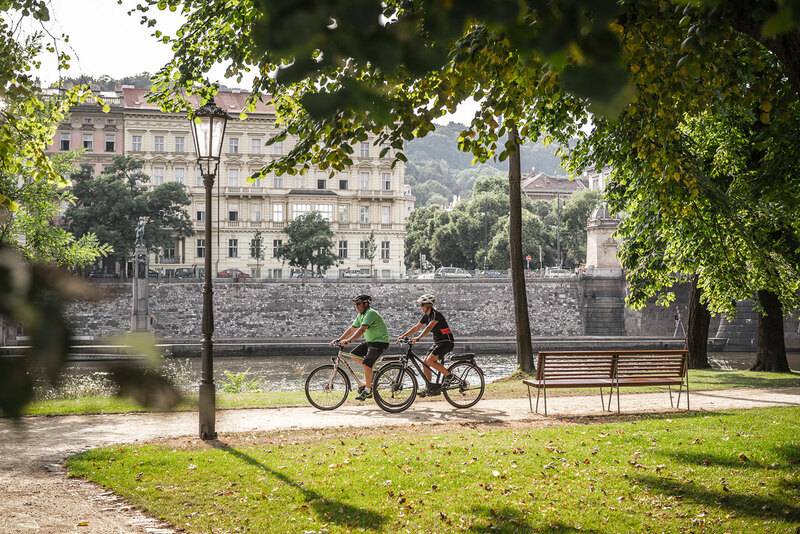 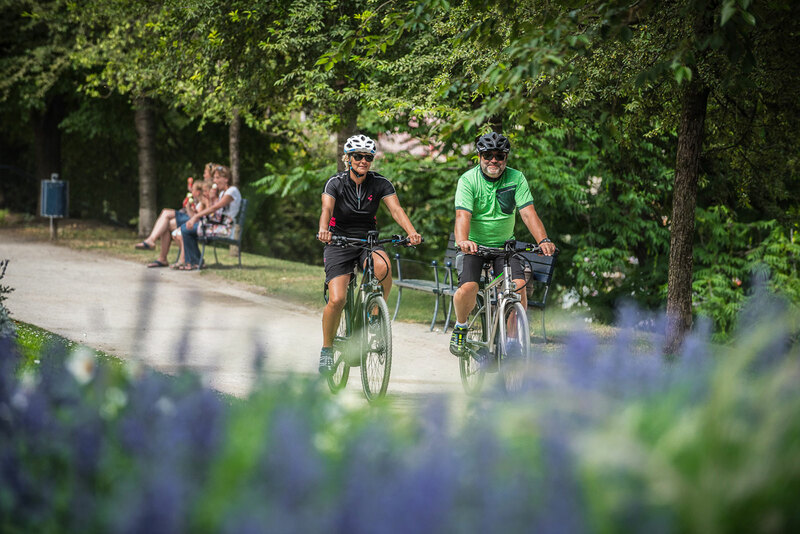 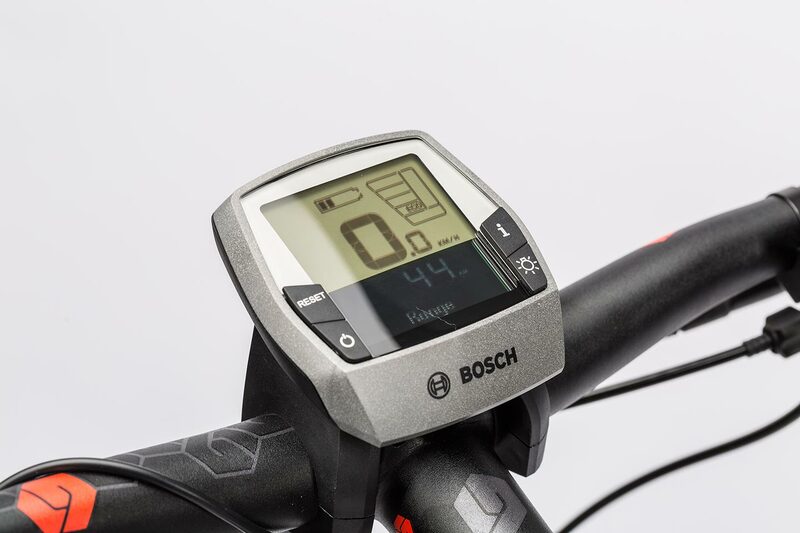 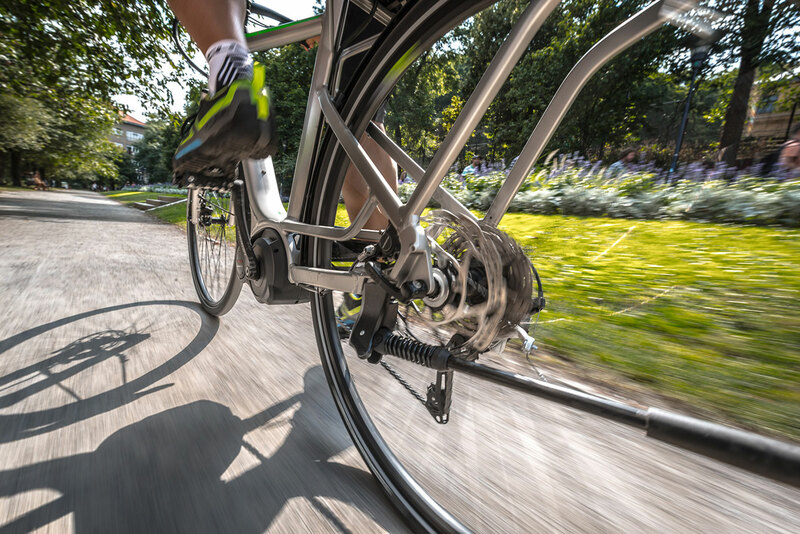 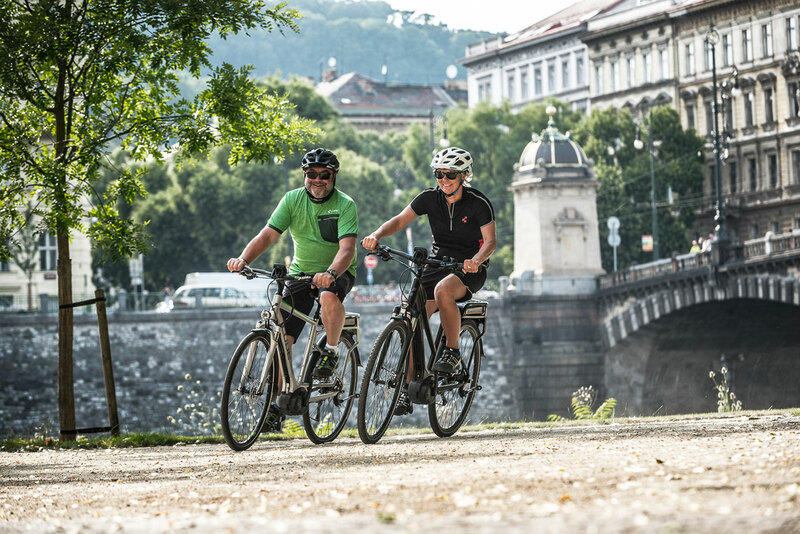 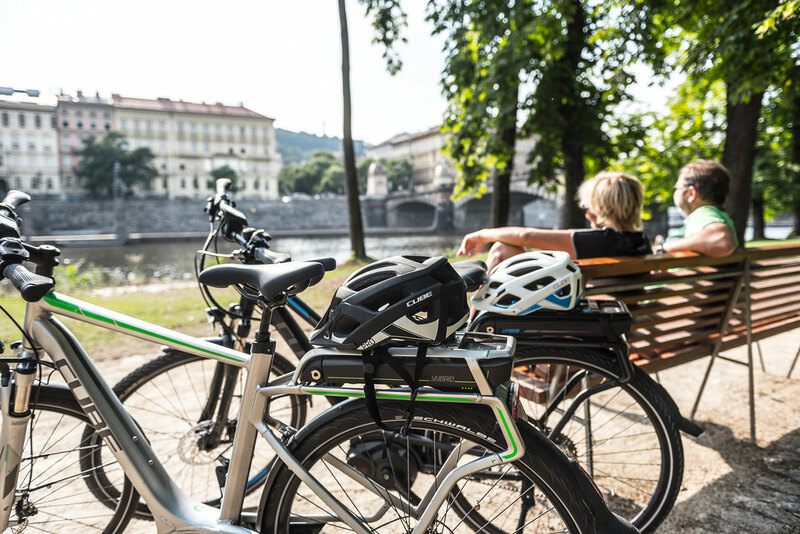 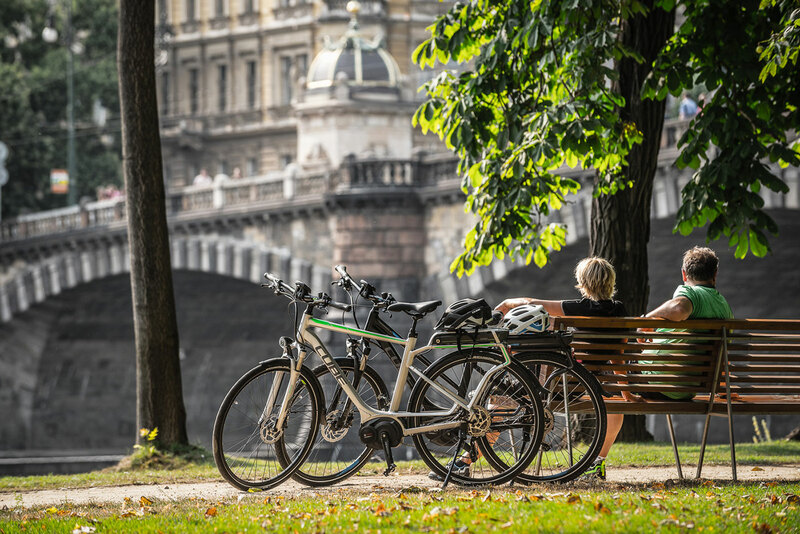 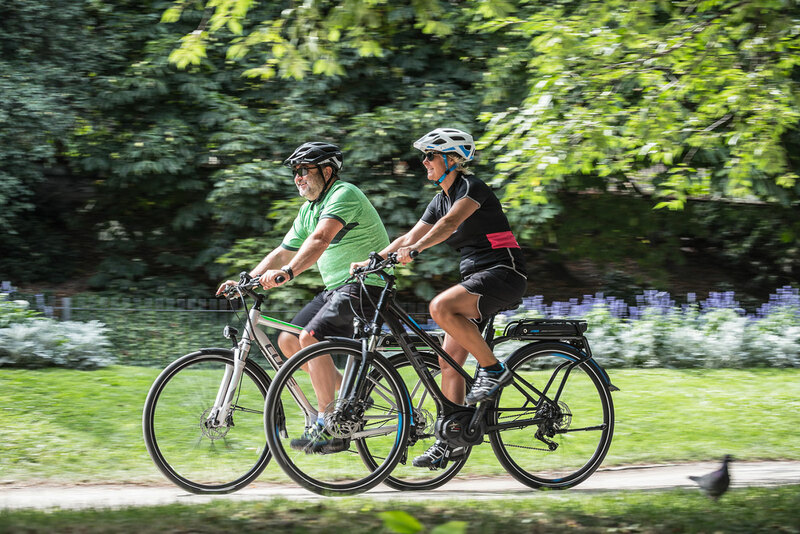 The Bosch Active Line motor system and robust features - including a hydraulic disc brake - make it the ideal companion for all keen cyclists.  The high quality, state-of-the-art frame is the ultimate in riding safety, while the suspension fork - with lockout - provides additional comfort for any eventuality. 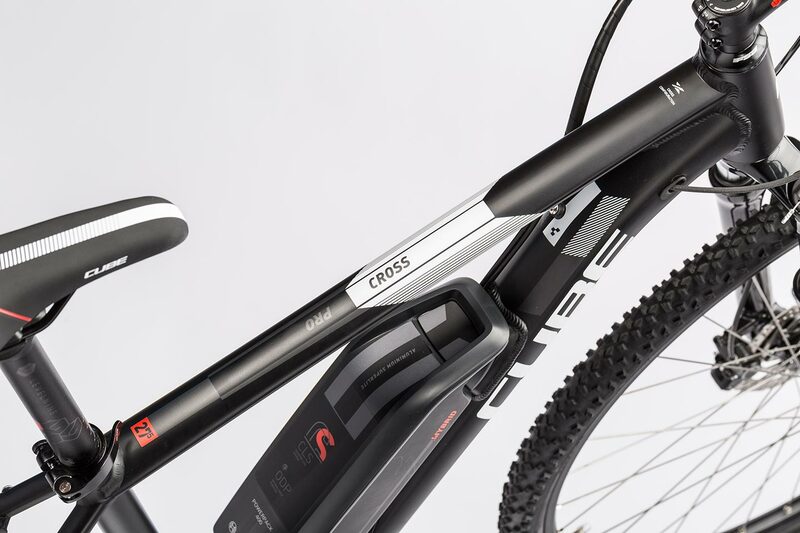 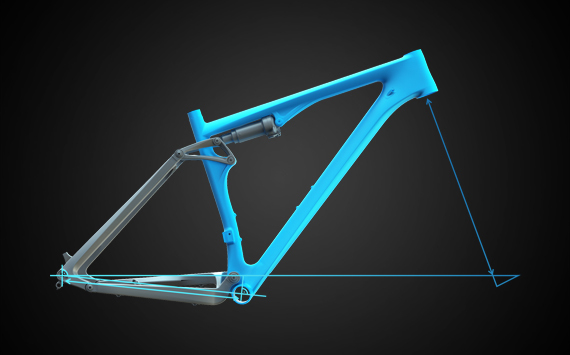 Mountain bike genes run through the Cross Hybrid Pro's frame. 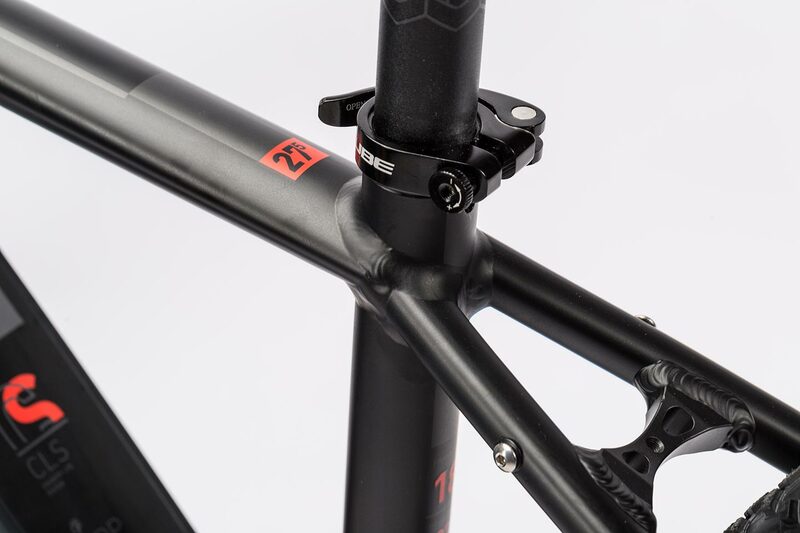 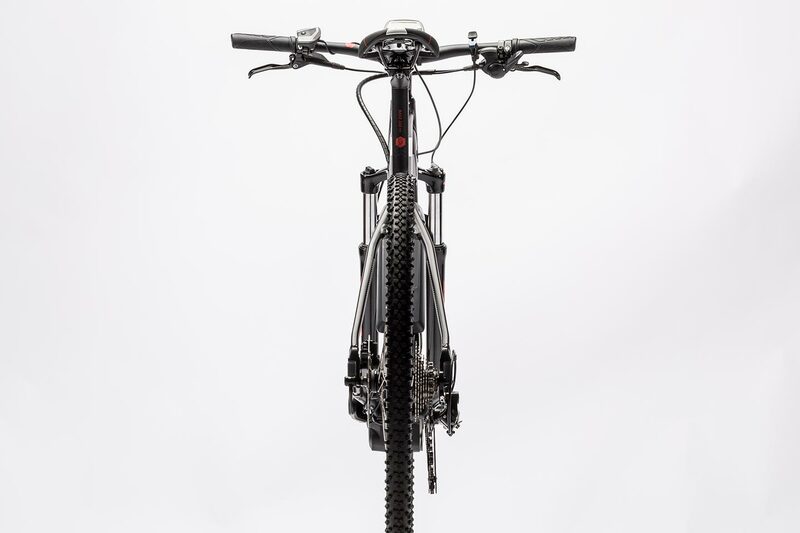 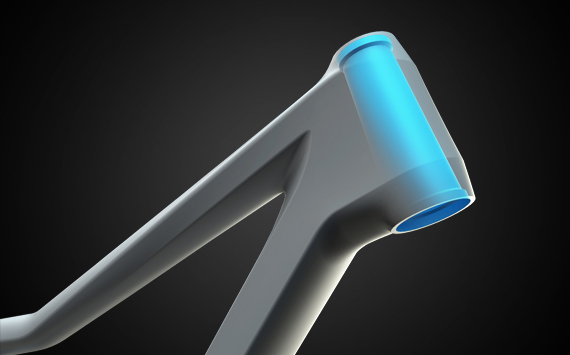 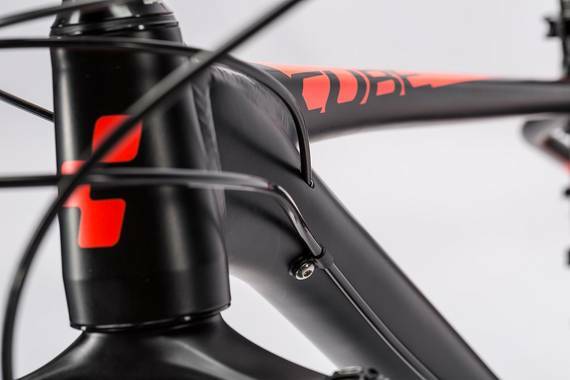 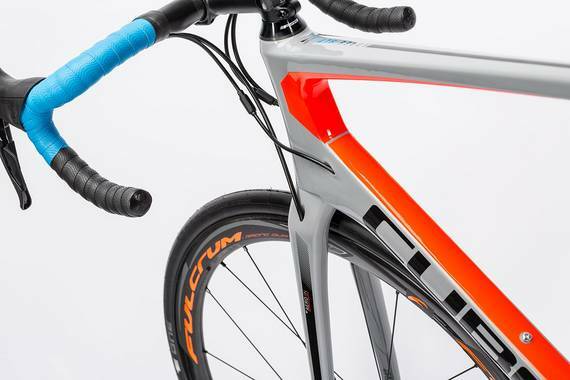 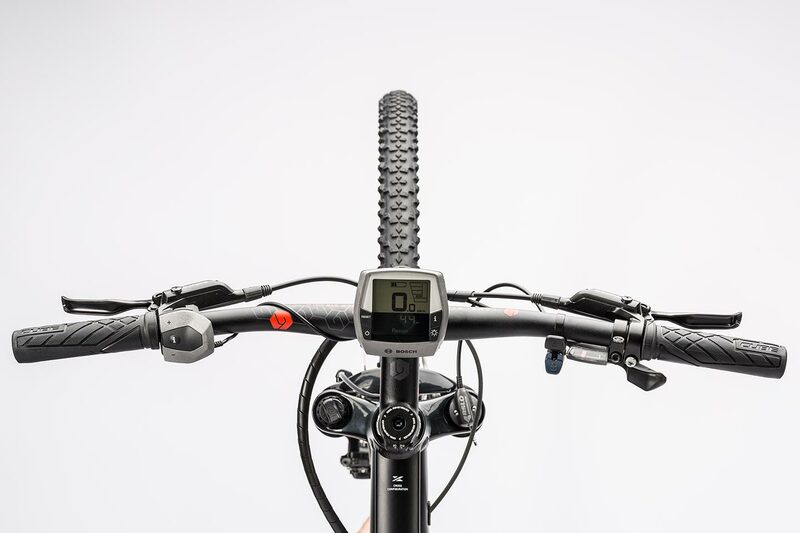 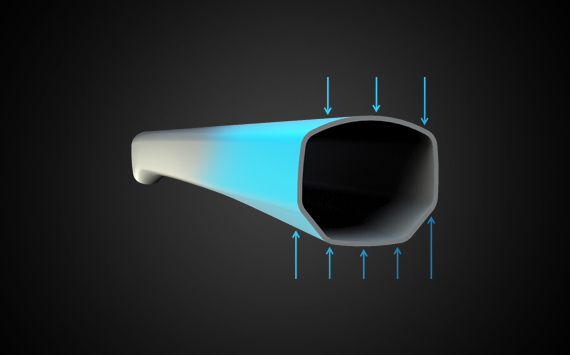 Details like the tapered head tube, elaborate battery mount incorporated in the down tube and the double butted aluminium Superlite frame all contribute to low weight and extremely precise steering. 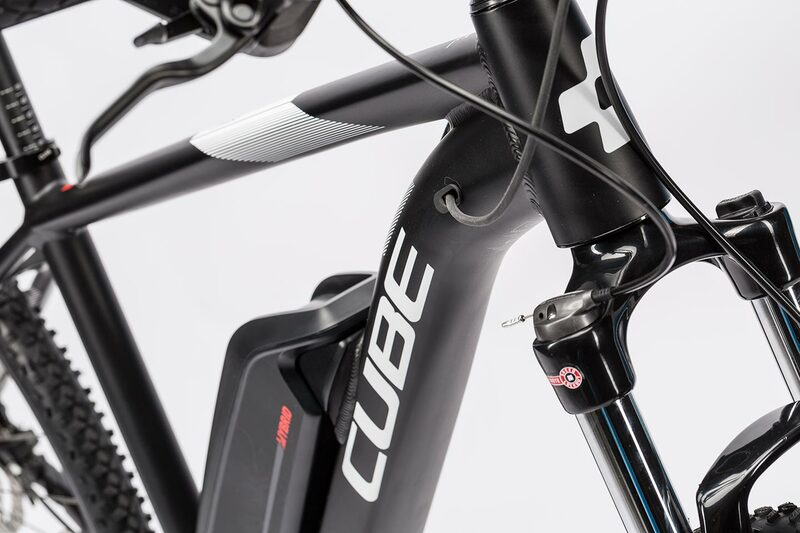 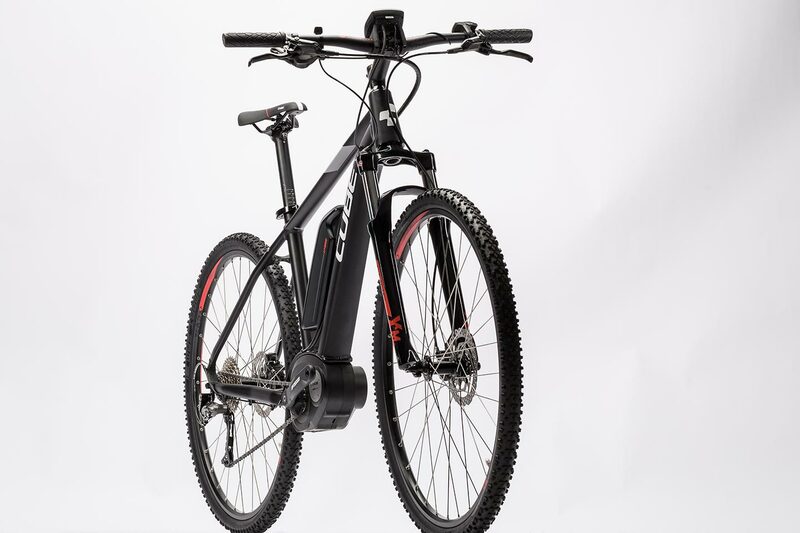 As you'd expect, the frame has been tested to surpass existing standards by the CUBE test collective - for example, it's suitable for towing a bike trailer with a Weber coupling. 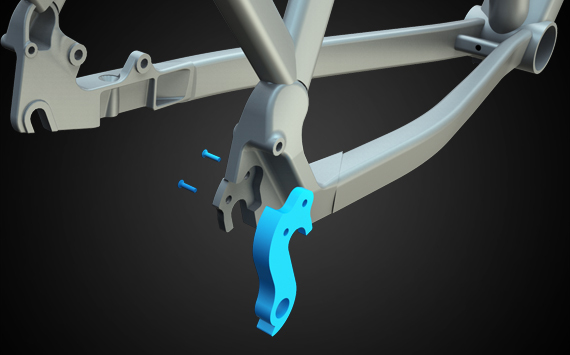 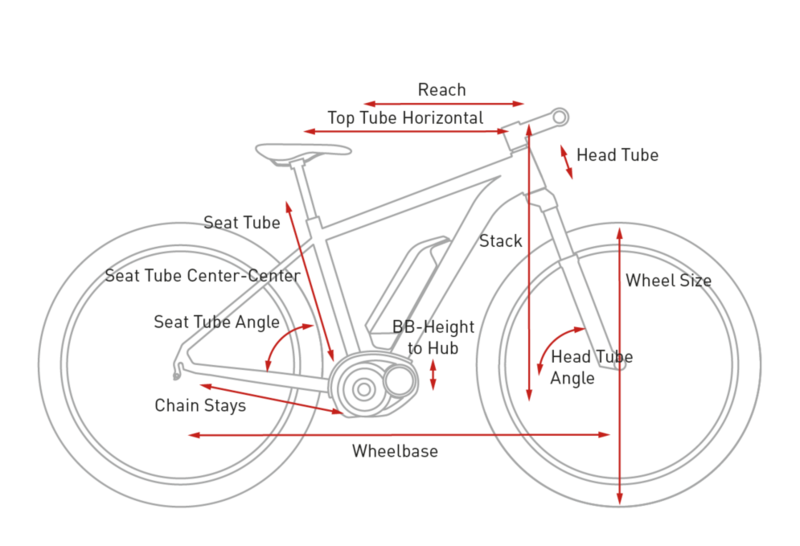 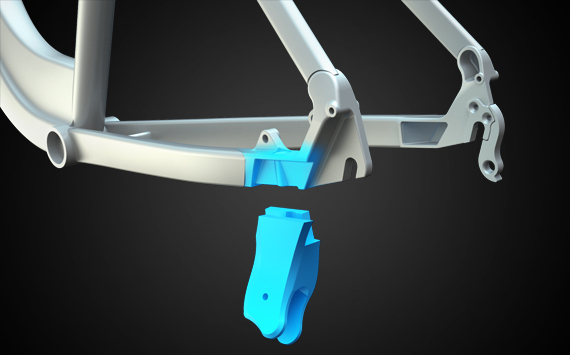 The multi-functional 3D dropouts are intended to make the fitting of mudguards, luggage racks and our Easy Mount kickstand as simple as possible. 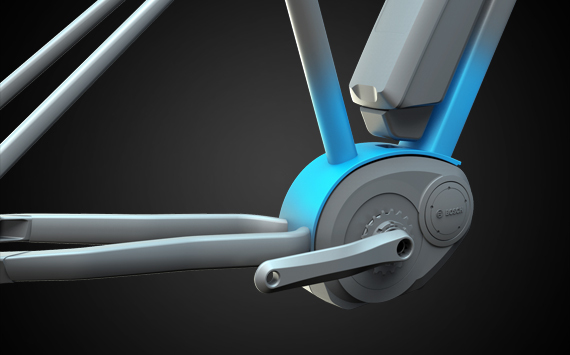 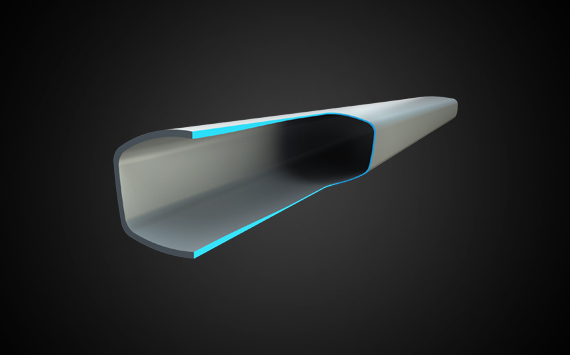 Cables are run neatly inside the frame, improving its looks and functionality at the same time. 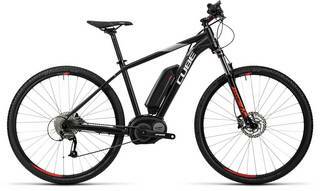 The Cross Hybrid Pro boasts the high torque Bosch Active Drive, combined with a very high quality 400Wh battery. 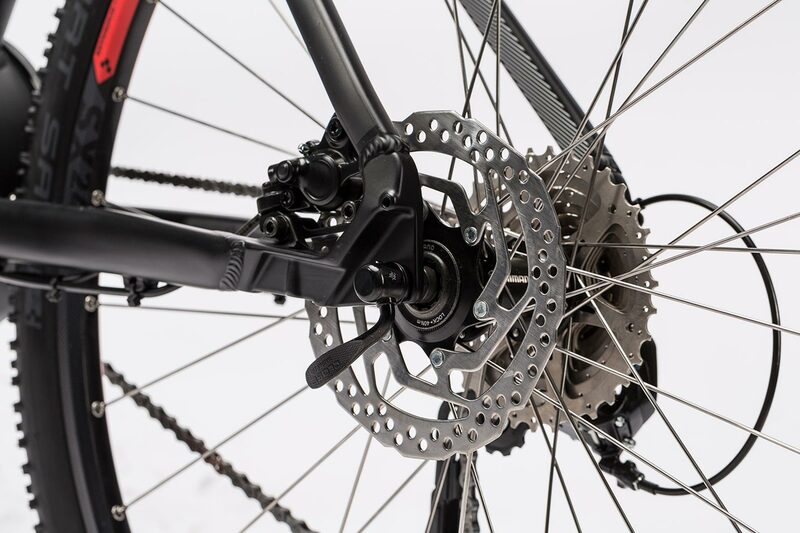 Long-term precise gear shifting is assured, thanks to a Shimano 9 speed rear derailleur operated by Rapidfire Plus gear levers. 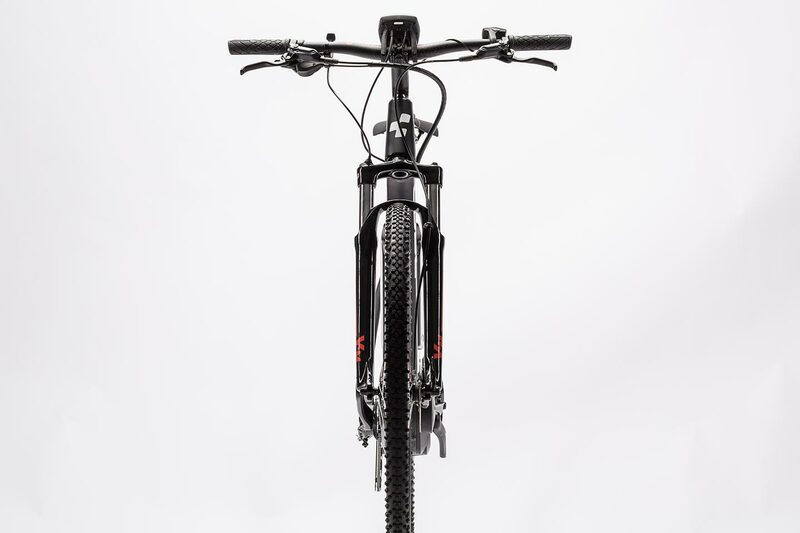 The Suntour XCM HLO suspension fork - with lockout - adds both safety and comfort on rough surfaces. 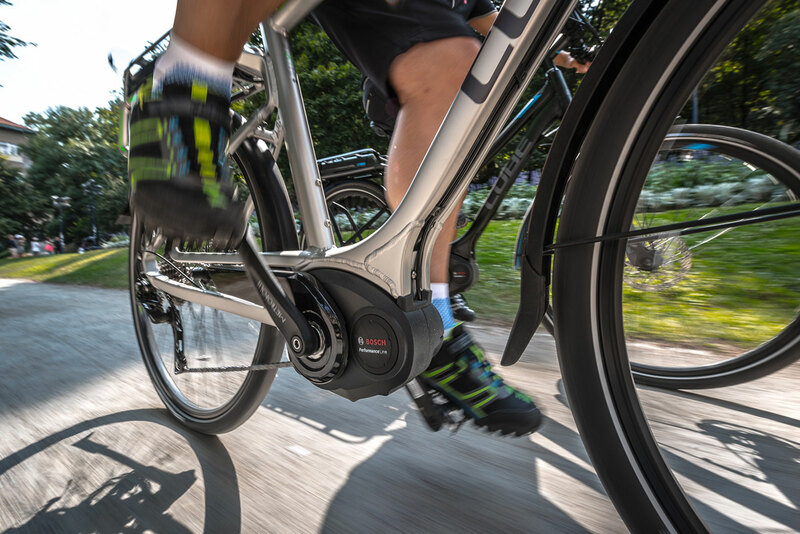 Another highlight is the Shimano BR-M355 hydraulic brake system, which slows the Cross Hybrid Pro reliably in all weather conditions. 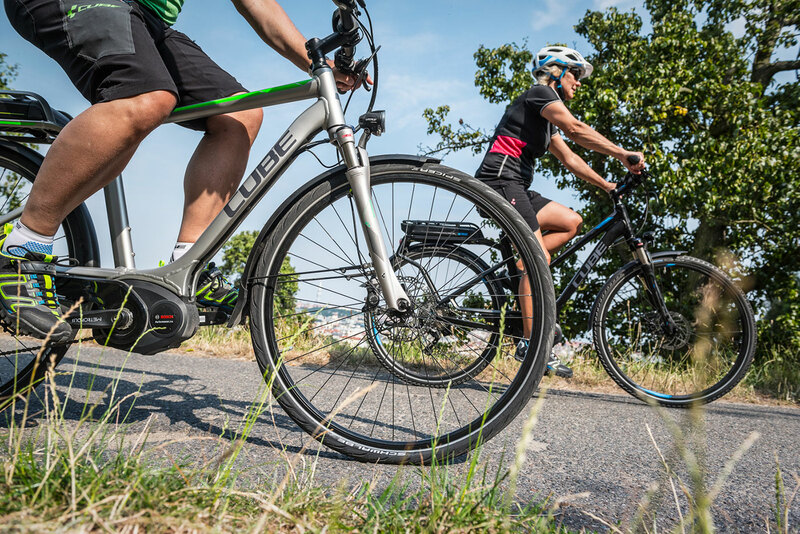 Scwhalbe Smart Sam tyres have low rolling resistance and superb grip on a wide range of surfaces - and the K-Guard version features extra puncture resistance.